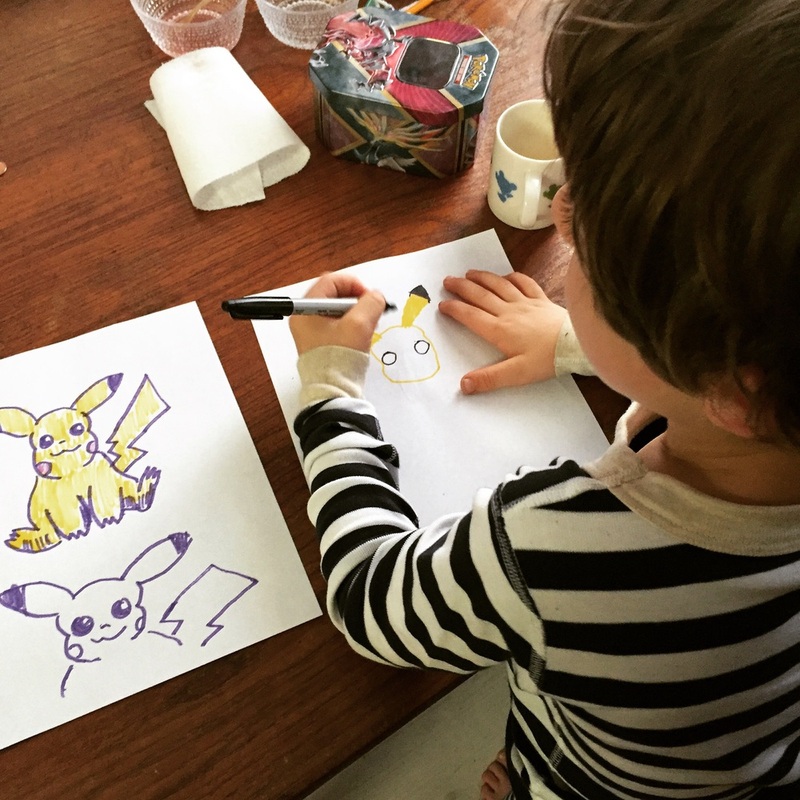 Another quick and simple activity, where Zephyr and I learned how to draw Pikachu together. I think Pikachu is the height of the Japanese kawaii aesthetic, and I suspect he is geometrically designed to be as cute as possible. My proportions were definitely a bit off (especially in the head narrowness) as I was just eyeballing it, but I still think it turned out okay. Some bit of knowledge I was able to impart: eyes should be far apart enough to fit an additional eye between them. That's rapidly becoming my gauge for how successful a morning activity is: did they get to learn something new you can point to? "Learn something new" is our family motto. SELFGRADE: B. Something new was learned!